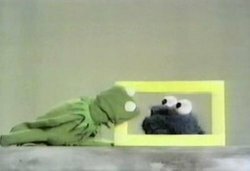 It is interesting to think that the colourful, fun characters from Sesame Street were originally used in television commercials in the 60s. Jim Henson had been running a highly successful advertising shop at the time, and when the show was first conceived, the producers found the most creative minds from advertising to help them build this masterpiece of child education. 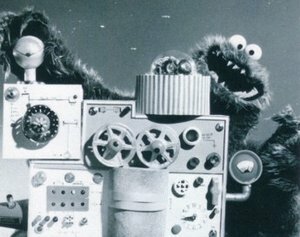 In fact, every episode of Sesame Street was meticulously engineered under the scrutiny of child psychologists and scientists to ensure that it would hold a child’s attention, often using techniques borrowed from television commercials. The concept was to teach children to read using the same tactics that they would use to sell them cereal. Big Bird was originally a seven-foot dragon to sell La Choy. Cookie Monster was created to sell Frito-Lay, and Grover was used in promotional films for IBM. From these commercial beginnings grew the most effective staples of children’s education on television for the next three decades.